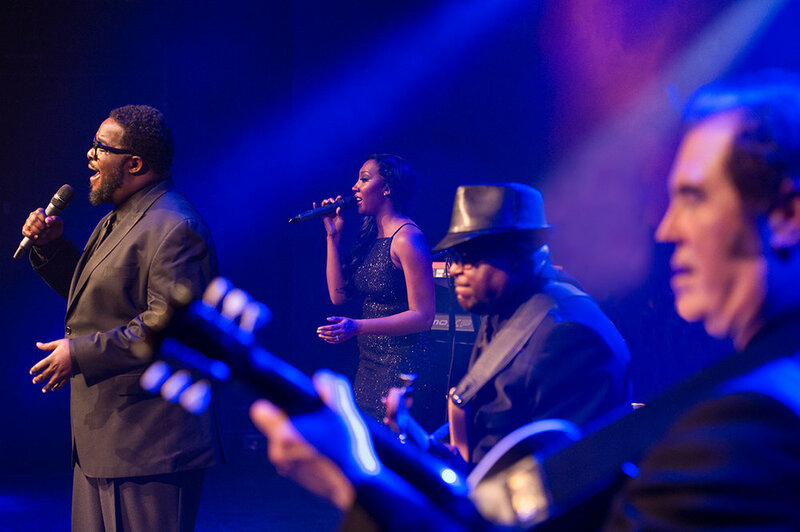 SoundNation has an on-stage musical chemistry fronted by three incredibly talented lead singers whose vocal performances move people — even during their dinner sets. Their rhythm section is a flawless balance of passion and craftsmanship, so that when the dancing begins it becomes an intimate experience that packs every single dance floor, every time, in every venue SoundNation has been invited to elevate. It is not uncommon for this party band to get the entire crowd singing along on the choruses of the biggest hits. 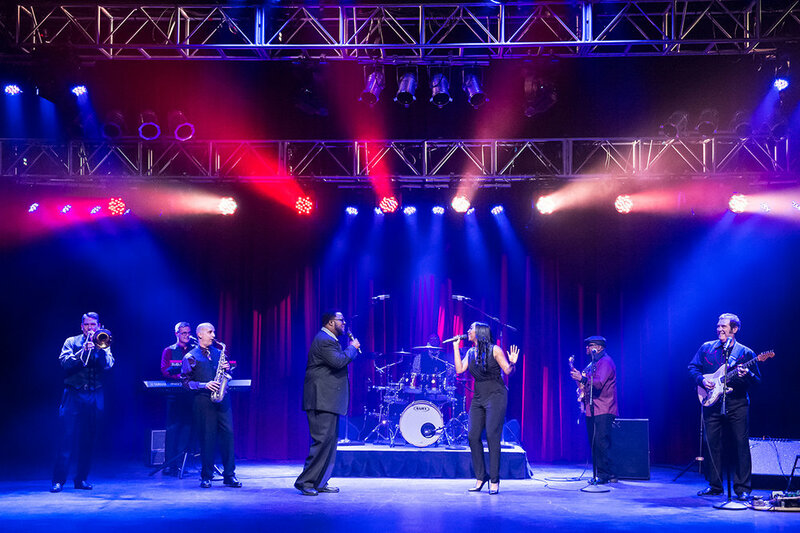 From today’s popular dance hits to the styles of “old school” and even flawless Sinatra renditions, SoundNation has the versatility that is unmatched on the party band, LIVE concert, private event, corporate and wedding band circuit. Culled from the local military’s best, SoundNation’s add-on horn section will also make people’s jaws drop. Add to that, SoundNation’s supremely entertaining and professional emcee, plus the backing of Kushner Entertainment’s production team, and you’ve got the ultimate versatile party band and experience on your stage. SoundNation is formed by Andy Kushner, managed and produced by Kushner Entertainment. CHECK OUT THE SONG LIST! Ready to book your perfect band? We’ve made taking the next step easy with the form provided on this very page. Use the form to pick your band, share a few celebration details, and start the first of many conversations that leads to an entire team at Kushner Entertainment to work towards designing, building, performing and delivering that perfect, custom, entertainment experience. We look forward to hearing from you, and taking that first step towards celebrating with you!